Should They Tell Us What They Have Not Told Us? When for-profit companies enter into agreements with governmental agencies to digitize the records of those agencies, they have responsibilities. Those responsibilities are to the original holders of the records being digitized and to the taxpayers and citizens whose taxes and fees have allowed the records to be preserved in the first place. The for-profit company may be assisting in the preservation of the records and in the access to those records, but it must be remembered that the for-profit company did not create the record they are digitizing and marketing. If information is to be redacted from an official record or document and part of the “true digital image” is to be obscured or removed in such a way as to make part of that official record or document unreadable, then the digital publisher of that information has a responsibility to make the user of that digital image aware of the manipulation and that certain information has been removed. I need to know if I am using an incomplete or altered copy of the record. I have that right if I am a paying customer of the company providing access. The original holder of the record and the citizens whose fees and taxes supported the creation and maintenance of those records also deserve to have their records reproduced in such a way that makes the reproduction process crystal clear and transparent. In these cases, the user is not viewing a true reproduction of the actual record. They are using an altered copy. My post, “Did Ancestry.com Delete Information from Indiana Death Certificates?” brought a similar post regarding Virginia death certificates to my attention. There may be other records that have been altered in a similar fashion. If a digital image of a record has been modified in such a way that information contained in the original record is not contained in the digital image, the publisher of that digital image has a responsibility to let the user of that digital image know. 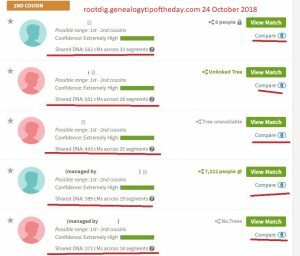 ← Did Ancestry.com Delete Information from Indiana Death Certificates? You are quite right to elaborate on the problem of a database operator’s not openly explaining when images have been altered. We still do not know who made the alterations and why. Nor do we know why women’s maiden names are not indexed — a spouse’s surname is appended and indexed, no matter how clear the image.